"As American as apple pie.". 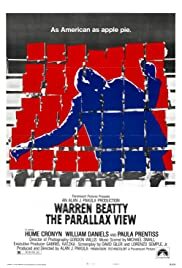 The story concerns a reporter's dangerous investigation into an obscure organization, the Parallax Corporation, whose primary, but not ostensible, enterprise is political assassination. Writer credits: David Giler - Lorenzo Semple Jr.